Tia Gostelow wrote “State Of Art” in 2015 and was only 16 years old. The song caught the attention of Konstantin Kersting (The Belligerents) and they recorded it together at Airlock Studios in Brisbane. “State Of Art” caught Triple J’s attention wining their 2016 Indigenous Initiative and a place in their Triple J Unearthed High 2016 Top 5. Things started moving fast with Tia being invited to officially showcase at BIGSOUND 2016. This turned out to be her first ever gig with her band. It also coincided with the release of her second single “Vague Utopia” which was also added to high rotation on Triple J. Both songs mine the sonic vein of classic Australian indie song writing traditions. 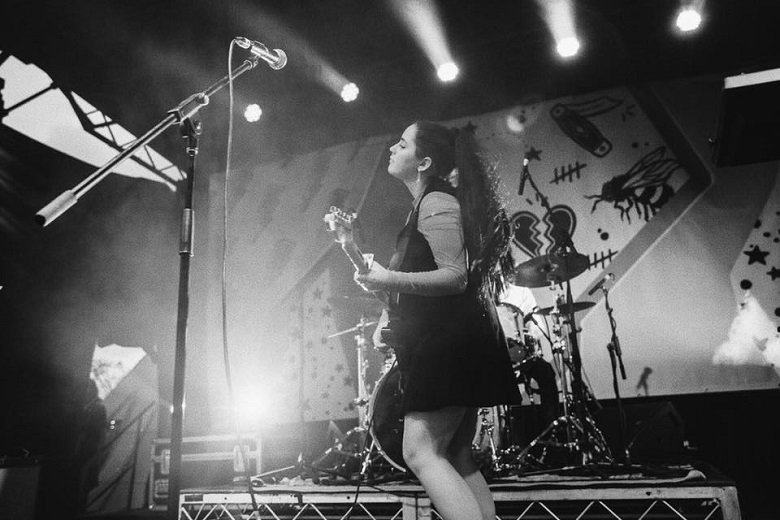 The connection with her band mates proved fruitful and saw them support the likes of Frightened Rabbit, Husky and Bernard Fanning. Tia’s team also solidified with her signing with US label Anti Fragile, Australian boutique booking agent Collective Artists and Native Tongue Publishing. 2017 was Tia’s first year out of school and kicked off with new single “That’s What You Get” changing pace with an upbeat sense of fun and which just as much love as previous releases. Awards followed with 6 nominations for the 2017 Queensland Music Awards, including 2 wins, in Schools and Folk Singer/Songwriter categories.